Earth’s magnetic field plays a valuable role in the way that life as we know it operates, impacting now only our own lives, but the animal life around us. However, this magnetic energy is always changing and shifting, with a major change predicted to occur in 2018. If you have ever watched birds migrating south for the winter, and wondered how they knew where they were going, scientists theorize that their bodies are able to pick up on this magnetic energy. This can also be seen in the spawning of marine animals like salmon and turtles, and even in the movement of cattle. Each of these beings possesses an internal magnetic compass that uses this energy to subconsciously direct movement. In fact, one German study even found that herd animals like cattle and deer situate themselves directly along a magnetic North-South axis where available. They were able to support this theory by analyzing the way that high voltage power lines can impact this natural reaction, causing them to align with the magnetic energy of the power lines instead. While we may not follow our internal magnetic compass for the purpose of migration, this energy continues to impact our own lives as well. This influence can be felt not only physically, but also mentally. Various studies have drawn a connection between magnetic fields and the risk of various diseases, and medical magnets are regularly used in today’s hospitals and care facilities. Signs of an increase or shift in magnetic energy include a metallic taste in your mouth, nausea, and a loss of balance. Some experts and researchers even argue that we possess a magnetic sixth sense. 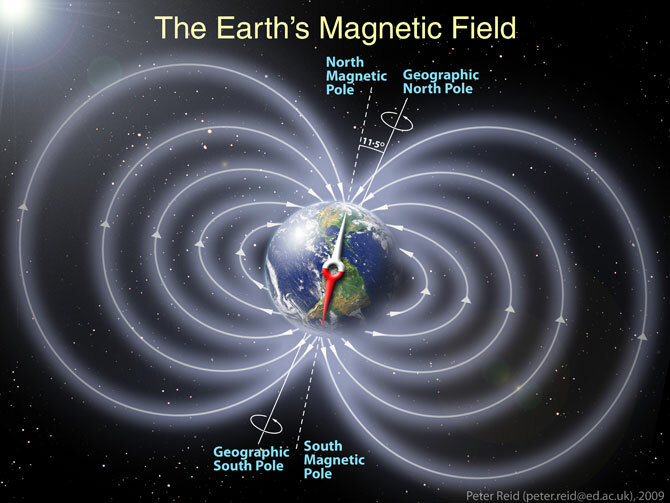 What many people don’t realize is that the magnetic field here on Earth is constantly shifting. 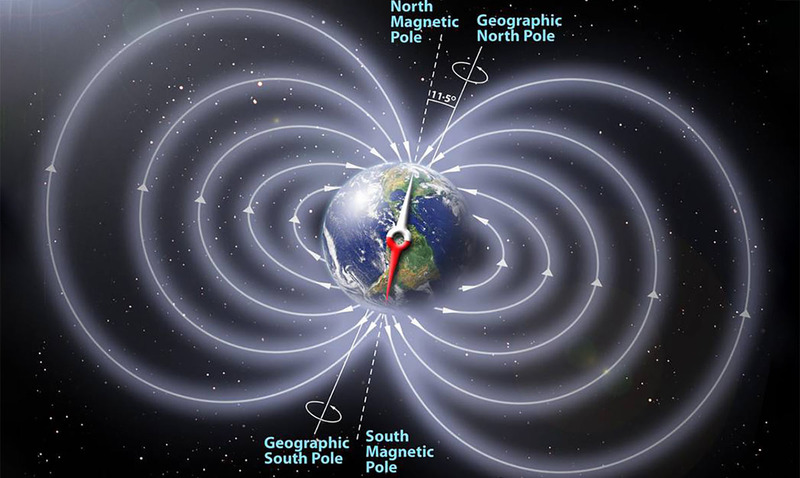 In fact, scientists have found that over the span of the last 20 million years, magnetic north and south has actually completely flipped approximately once every 200,000 to 300,000 years. Looking back on the last time that this occurred, estimated to be approximately 700,000 years ago, this would mean that we are long overdue for this phenomenon. The idea of a magnetic reversal really started to make waves in the general public in 2012, when a number of online sources began to speculate that this shift would cause certain death for all of us. While scientists do agree that there appears to be some correlation between magnetic reversals and mass extinctions, there certainly hasn’t been an extinction even close to every time the poles have reversed. Scientists have recorded evidence that the Earth’s magnetic field has decreased in strength approximately 15% over the last 200 years. The subtle changes that we have seen combined with the fact we are so overdue have led many experts to predict that 2018 is the year we will see a complete reversal. While there are certainly going to be some physical responses to this shift, experts advise that the magnetic reversal will be a time of heightened consciousness in which the way our brains operate will also shift. Moving away from the dominating and logical left-brain, we will find ourselves more in tune than ever with the creative and loving right-brain. If we embrace this new mindset, it may be the secret to ending wars, solving long-term conflicts, and bringing humanity together in a renewed peace and balance.